Properties in Hexen6er Ski Lift average 4.6 out of 5 stars. Property 1: Brand new apartment only about 300 metres from the ski lift! Modern holiday home is beside Austria's largest ski-area. Property 2: Modern holiday home is beside Austria's largest ski-area. An exclusive, luxury apartment with a private sauna. Property 3: An exclusive, luxury apartment with a private sauna. Property 4: Brand new apartment only about 300 metres from the ski lift! This modern holiday home is beside Austria's largest ski-area. Property 5: This modern holiday home is beside Austria's largest ski-area. A pleasant, detached house 2 km from the Salvistabahn. Property 9: A pleasant, detached house 2 km from the Salvistabahn. Fantastic holiday apartment in the mountains near Brixen im Thale! Property 12: Fantastic holiday apartment in the mountains near Brixen im Thale! Athletic, unconstrained and way up on the mountain! Property 15: Athletic, unconstrained and way up on the mountain! New, modern holiday home near the largest ski area in Austria! Property 18: New, modern holiday home near the largest ski area in Austria! Luxurious holiday home with playroom, sauna, and plenty of privacy in Söll! Property 27: Luxurious holiday home with playroom, sauna, and plenty of privacy in Söll! Superbly renovated, detached chalet with a sunny garden and lots of privacy. Property 29: Superbly renovated, detached chalet with a sunny garden and lots of privacy. Cosy apartment in a quiet location with great connections in the region! Property 30: Cosy apartment in a quiet location with great connections in the region! Beautiful holiday home on a farm with wonderful views of the valley. Property 32: Beautiful holiday home on a farm with wonderful views of the valley. A new, modern holiday home near Kirchberg and Westendorf. Property 35: A new, modern holiday home near Kirchberg and Westendorf. This house is in a splendid location in a quiet spot above Westendorf. 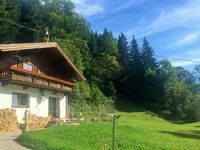 Property 41: This house is in a splendid location in a quiet spot above Westendorf. Nice holiday home, just 500 metres from the Westendorf chair lift. Property 43: Nice holiday home, just 500 metres from the Westendorf chair lift. Property 45: Nice holiday home, just 500 metres from the Westendorf chair lift. The location was within walking distance to the gondola. The driveway is narrow because of all the snow on either side. You have to be very careful not to hit the concrete post on the driveway corner. The heat was way too high and it is not controllable by the renter. We had to call the owner to turn down the heat but it was still too hot. The negatives are that there were few supplies. Be prepared to buy a lot of the basics. Each bathroom had a roll of toilet paper; no extra. The kitchen had coffee filters, a little sugar, a partial roll of parchment paper, and dish soap. No basics like salt and pepper or paper towels. No soap other than in the upstairs bathroom. We had our own kitchen and bath towels so we didn't need to &quot;rent&quot; them. We are currently in another house in Kirchberg where all of the &quot;missing&quot; things in Itter are supplied by the owner, even coffee and a bottle of rum! For the high rent charge of the Itter house, one would expect more to be furnished. A plus: We greatly appreciated having the 2 high chairs and 2 cribs to use for our 1-year-old twins.